It’s official! I am head over heels in love with Green Monsters! Last night I made myself a pumpkin pie Green Monsters for dessert. It ended up being way more than I needed so I froze half and reblended it to have with breakfast this morning! What a perfect Friday morning treat! I am so in love with Green Monsters, I am actually going to buy a real blender so I can stop making then in my crappy Magic Bullet. Breakfast this morning was an egg Sammie. 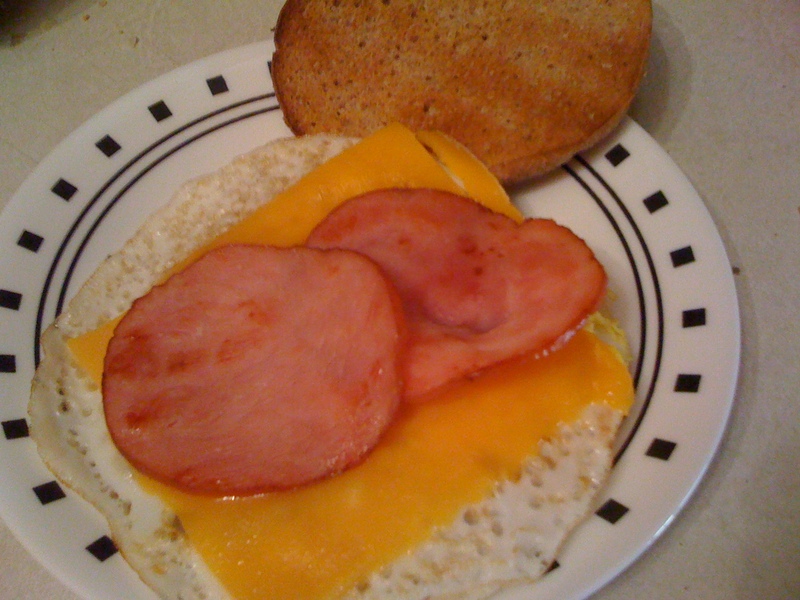 1 egg + 1 Arnold’s sandwich thin + 1 slice mild cheddar cheese + 2 slices Canadian bacon = morning bliss.